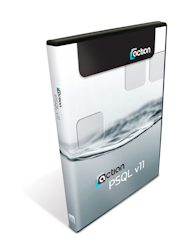 PSQL v11 User Count Increase licenses will work on either platform (Windows or Linux) or bit level (32-bit or 64-bit), and you can switch platforms and bit levels at any time. The UCI licenses are available in standard license counts of 6, 10, 20, 50, 100, 250, and 500. Each engine license can be installed to ONE server at a time. All workstations in the network still get the free PSQL Client installed and need not be licensed. As of Service Pack 2, PSQLv11 licenses are valid on all platforms and only the Win64 SKU is used.